Why move? Why now? In fact we’ve been on the lookout for a new space for some time, watching as the team here continued to grow and get busier. We hadn’t quite reached bursting point at Albany House, but it was getting snug. More than that, we wanted a new office that would be a creative and dynamic space to reflect and encourage the way we work. So here we are in a gorgeous office recently vacated by our friends at Creative Assembly. Lighter and beautifully finished, it’s an open and flexible space for us to work and play around in. Oh, and did I mention it’s huge? It’s great to have this much space. For the future it gives us room to continue our growth, but from the off it gives us the chance to experiment with how and where we work. From simple things like a bigger kitchen, through to breakout spaces and meeting rooms, we’ve got new space in which to work flexibly and creatively, and to find new ways to capture and work on ideas. When finding a new office, it was essential to us that we stayed in Horsham. 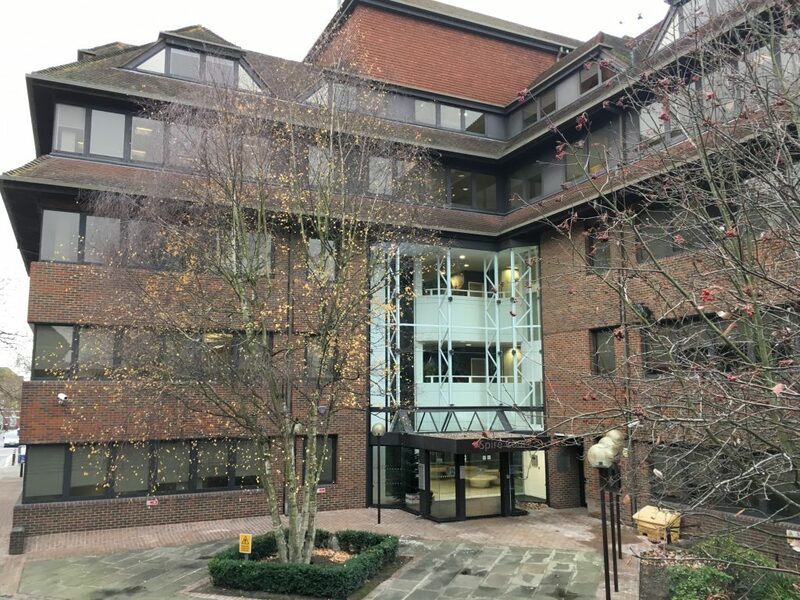 Investing in a new home right in the centre of town underlines our commitment to the Gatwick Diamond region, and also to the schools and colleges we work with to help encourage more young people into software careers. In fact we’re hoping to use a chunk of our spare room for an exciting new partnership that builds on our education work – more on that soon. It’s early days, we’ve a big space to fill, and for a while no doubt we’ll be rattling around. But the move sets us up with the best possible environment in which to continue our growth. We’re expecting to deliver several big projects during 2018, and we’re actively hiring the people who’ll help us. If you want to get involved, check out our current vacancies. And if you’d just like to know more about what we do, why not get in touch?